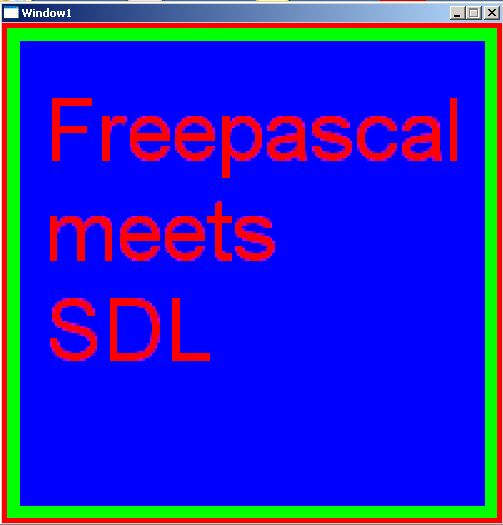 As a long time Pascal User (from the times of TurboPascal 6/7) i’m delighted with Pascal+SDL, i’m planning to do a simple retro style game for my small kid (4.5 years old) and the combination seems perfect!! But i wonder why the extra step of loading the BMP to the surface and then generate a texture with it? 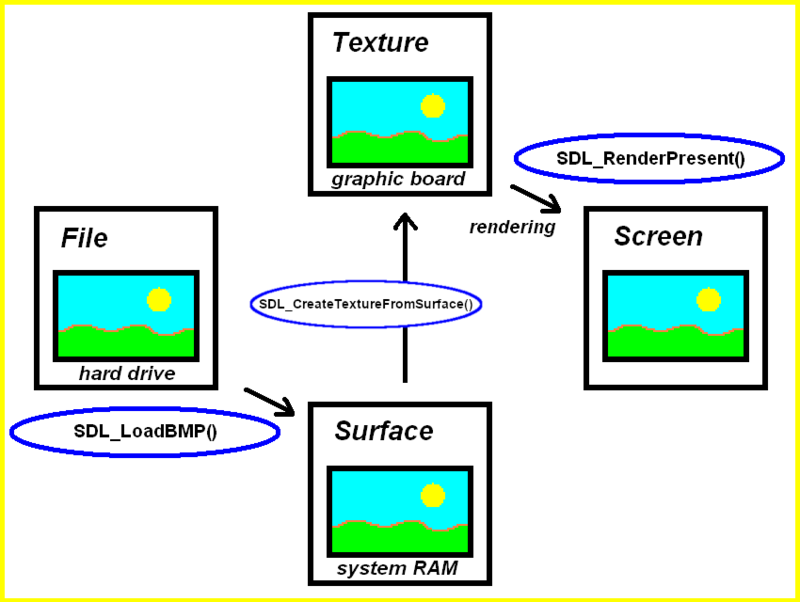 Is there any problem in making a SDL_LoadBMP(_file: PAnsiChar): PSDL_Texture function that internally creates a temporary surface and automatically free it after completion? So we must worry to free only the texture (the one we care about) and not the temporary object. Is there any problem in making a SDL_LoadBMP(_file: PAnsiChar): PSDL_Texture function that internally creates a temporary surface and automatically free it after completion? So we must worry to free only the texture (the one we care about) and not the temporary object.